The following deacon candidates make up the diaconate formation class of 2022. 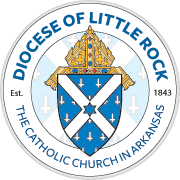 Representing parishes from across Arkansas, these men and their wives participate in monthly formation courses to prepare them for ordination to the permanent diaconate. Learn more about this process or click on a candidate's name to learn about him.